With our own factory and multi-lingual customer service, we can guarantee an extremely fast delivery time and personal service. We manage the entire process, from order to shipment. Take a look at our factory. Our studio will review the artwork you provide and incorporate it into a jacquard design the same day. Then our weavers can get to work. The right yarns are put on the machines and engaged. 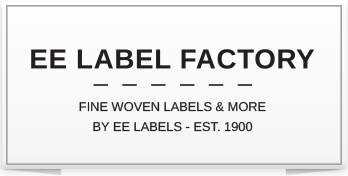 After weaving, your labels are cut and folded so that you can easily stitch them. Our staff check the quality and pack the labels in boxes that go out to you the same day.